(Hanford, California, Thursday, November 12, 2015) – The voters of California now have an opportunity to determine where the priorities of California need to be in the near future. Board of Equalization Vice Chair George Runner and Senator Bob Huff have submitted a voter initiative to the Attorney General that could be placed on the 2016 Election. This initiative will give voters a choice to take unused bonding capacity from the California High Speed Rail Project (HSR Project) authorized under Proposition 1A and put it towards water infrastructure projects that are vitally need to meet the current water needs of the State and to prevent social and economic impacts when the next drought strikes California. This initiative comes at a critical point in the HSR Project as the California High Speed Rail Authority (Authority) has made very little progress on the project and numerous questions of legitimacy surround the Authority and the HSR Project. To fund water projects in California, the initiative seeks to redirect unused HSR funds from the project that were authorized by the voters in 2008 under Proposition 1A. The Authority has spent eight years trying to develop a project that meets Proposition 1A’s requirements, and both the courts and the public have highlighted numerous shortcomings that have kept the Authority and the State from issuing Proposition 1A bonds. 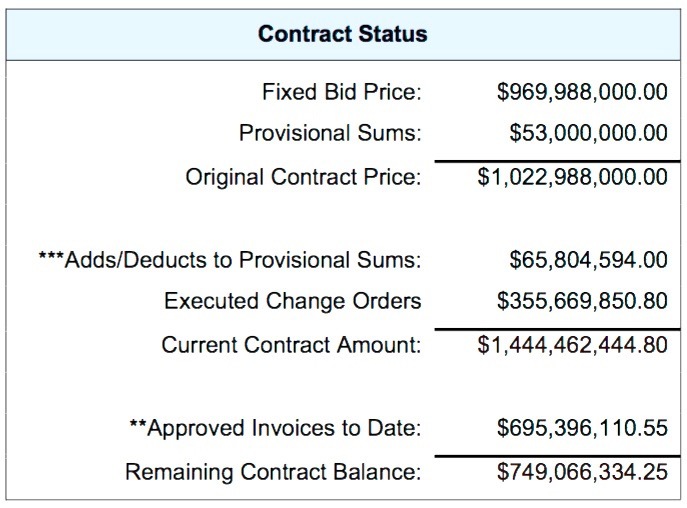 More recently, the Authority came under fire for withholding key documents that showed that the 2014 Business Plan that was presented to the California Legislature was based on artificially low values, and the project will likely exceed the budget set forth in 2014. The Authority also received proposals from 36 international companies that specialize in high-speed rail projects, most of which told the Authority that private funding was not coming to the rescue and that the approach planned by the HSR Authority is not technically or financially feasible. The Democratic Party-controlled California Legislature, charged with the responsibility to oversee the HSR Project, has refused to appropriately address concerns and has opted instead to loosen oversight of the project. Recently, Assembly Speaker Tony Atkins responded to a request to investigate the Authority for withholding documents by brushing off the severity of the incident and emphasizing “broader range of oversight in 2016.” Earlier in the year the legislature passed Assembly Bill 95, which eliminated the requirement for the Authority to produce and submit key progress reports and reduced the frequency that the Authority produced and submitted project and financial reports. A large majority of voters of California are tired of watching communities, farms and businesses struggle with the lack of water while a rogue agency like the California High Speed Rail Authority and the Legislature mismanages their multi-billion dollar project. We hope that in 2016 voters will send a message to the Governor and the California Legislature that we can and will set water as our priority in the State of California and hold our public agencies accountable for the use of our limited tax dollars. Private investment in California High-Speed Rail is more than just a “nice thing to have.” The law requires it! The board chairman Dan Richard concluded that “Eventually we’ll be ready to really look to the private sector for their participation in funding; we’re just not there yet.” News media subsequently investigated and reported on the 36 “Expressions of Interest for an Initial Operating Segment” submitted to the authority. 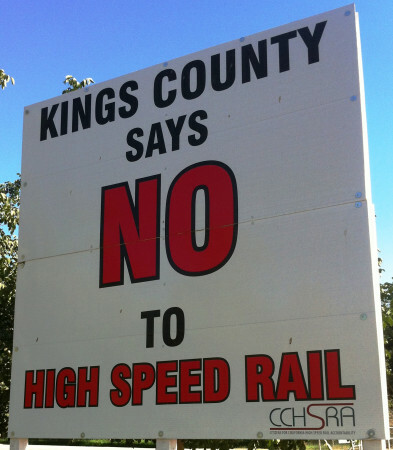 Citizens for California High Speed Rail Accountability (CCHSRA) has long made these arguments. It isn’t surprising that private entities don’t want to invest money in the high-speed train system. As a grassroots organization working to ensure that the California High-Speed Rail Authority follows the law, CCHSRA wants to make Californians aware that the Authority has a legal commitment to voters to pursue AND obtain private investment. Do you remember the statewide ballot measure that triggered the current land acquisition, contract awards, and preliminary construction for the high-speed rail system? It was approved seven years ago by 53% of California voters (including 78% of San Francisco voters). 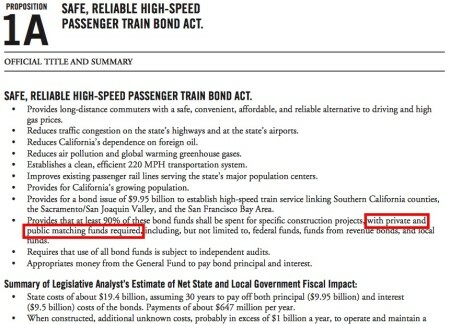 Proposition 1A was identified on the November 2008 ballot as the “Safe, Reliable High-Speed Passenger Train Bond Act for the 21st Century.” It authorized the State of California to borrow $9.95 billion via bond sales for high-speed rail and rail connectivity projects. Today, the California High-Speed Rail Authority struggles with Proposition 1A. It likes the idea of getting the $9.95 billion, but it would prefer to see the people of California loosen up a little (or a lot) on the taxpayer protections required as a condition of borrowing that money. $9 billion would be used, together with any available federal monies, private monies, and funds from other source. bond funds may be used to provide only up to one-half of the total cost of construction of each corridor or segment of a corridor. The measure requires the authority to seek private and other public funds to cover the remaining costs. As November 2008 fades into the past, the temptation increases for the California High-Speed Rail Authority to focus on the project itself at the expense of the legal justification for that project. The Authority’s taxpayer-funded public relations campaign may nudge voters toward a conclusion that 2008 was a long time ago, and since then the state has “evolved” out of a rigid legal expectation of private funding. Voters may also hear a claim that passage of Proposition 1A was simply an endorsement from voters for California High-Speed Rail, and therefore the details of how it’s funded, built, and operated don’t really matter. If this is truly the case, then the California High-Speed Rail Authority needs to ask voters to approve a new ballot measure that doesn’t include taxpayer protections such as private investment. 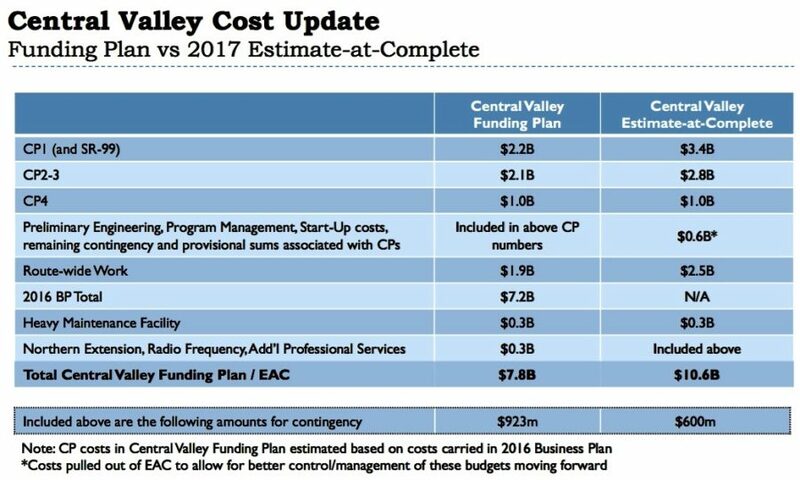 When you hear elected and appointed government officials claim that it’s too soon to expect private investment for California High-Speed Rail, refer them to the Official Voter Guide for Proposition 1A. One of the prizes dangled by the California High-Speed Rail Authority in front of the people of the San Joaquin Valley is a “Heavy Maintenance Facility” for the Initial Operating Segment of the bullet train. The cost of construction for this facility could range from $650 million to more than $1 billion. Up to 1,500 employees could work there during any 24-hour period. It is expected that numerous research and development firms related to high-speed rail transportation will set up shop near the facility, bringing thousands of college-educated workers who would populate the transit villages around the Fresno rail station. This demographic group is regarded as highly desirable for the future of the Valley. Before the startup of initial operations, the Heavy Maintenance Facility would support the assembly, testing, commissioning, and acceptance of high-speed rolling stock. During regular operations, it would provide maintenance and repair functions, activation of new rolling stock, and train storage. In 2010, the California High-Speed Rail Authority identified five feasible sites for the facility on what is currently the Initial Construction Section between Madera and Shafter: Fresno, Hanford, Wasco, and two in Shafter. To lobby for Fresno to be the location, the City of Fresno, the County of Fresno, and other Fresno local governments teamed up with construction-related businesses and unions to create a coalition called Fresno Works. Based on a September 10, 2013 staff report to the California High-Speed Rail Authority board, it seems that one company will win one contract to provide and maintain the trains and also construct, outfit, and maintain the Heavy Maintenance Facility. And this prospect apparently explains why a contingent of Fresno government officials and community leaders traveled to Spain from September 26 to October 4, 2015. Palmdale Mayor James C. Ledford, Jr. This photo was taken during the trip to Spain. Unions anticipate 600,000 construction jobs from the development of the entire train system, all of them filled by unions as a result of a “Project Labor Agreement” implemented internally by the California High-Speed Rail Authority. A September 23 press release from the office of Assemblyman Perea stated that “the tour to Spain includes elected officials, labor organizations, business and economic interest representatives, higher education administrators, and representatives of the California agricultural industry.” That press release also denied that taxpayer funds were being used for the trip. There is speculation that some travel was paid for by construction-related companies and/or labor-management cooperation committees affiliated with construction unions. 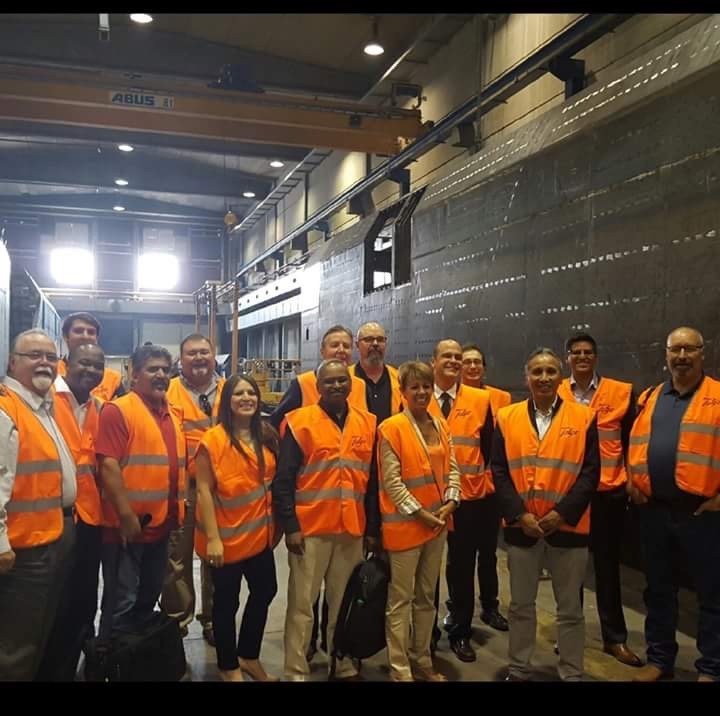 A highlight of the still-mysterious trip was on September 28, when the group toured a heavy maintenance facility in La Sagra operated by Alstom, a French industrial power and transportation conglomerate. Alstom is widely rumored to be a leading candidate for selection by the California High-Speed Rail Authority to provide trainsets and to build and operate the Heavy Maintenance Facility. Alstom contributed $21,500 to the 2008 campaign to support Proposition 1A, the Safe, Reliable High-Speed Passenger Train Bond Act. This trip probably succeeded in giving Fresno an advantage on winning this facility. Will the competing cities of Hanford, Wasco, and Shafter be able to organize and scrape together enough money to fund their own lobbying contingent to travel to Spain or France? Who will make the case to Alstom or other companies that other cities are more worthy than Fresno to be the location of the Heavy Maintenance Facility? 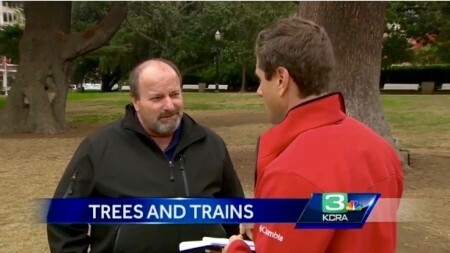 This kind of sly politics is another reason why Citizens for California High-Speed Rail Accountability continues to monitor and expose the questionable antics of the politicians and special interests jamming this rail project through farmland, businesses, and homes owned by generations of San Joaquin Valley families.